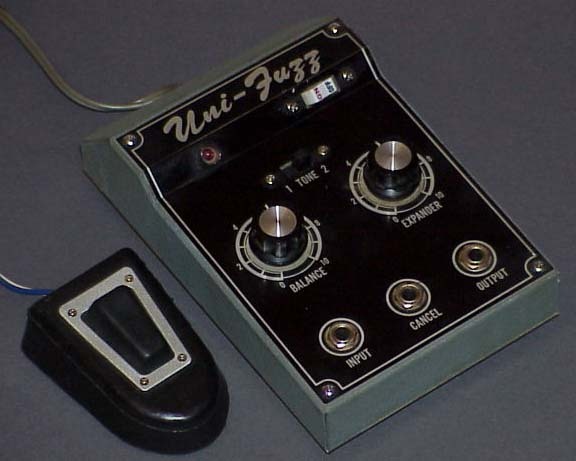 The Uni-fuzz (1, 2) was an AC version of the Super Fuzz, had a remote switch to turn the effect off and on. Also there was a delay between hitting the switch and the effect coming on. 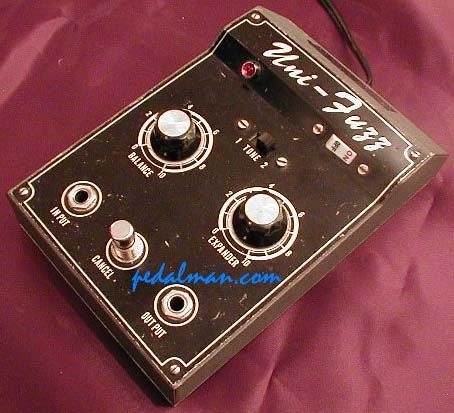 Marketed under several names including the Alternado Fuzz by Companion.